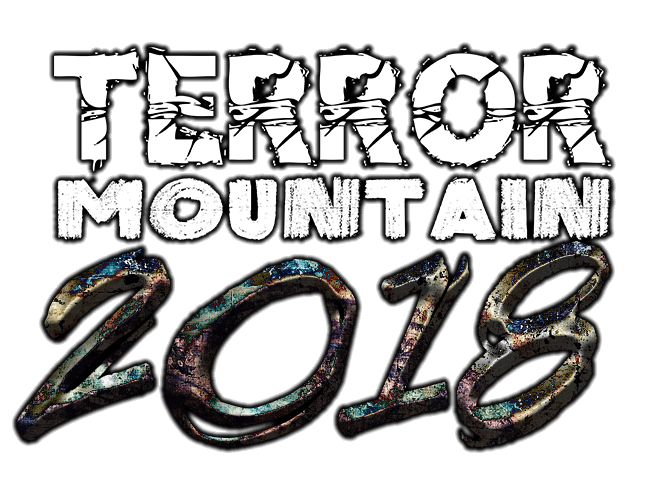 THINK YOU’VE GOT WHAT IT TAKES TO BRAVE TERROR MOUNTAIN 2018? NOT ONLY DO YOU SAVE 20% WHEN BOOKING ONLINE, BUT YOU ALSO GET GUARANTEED ENTRY, AS SOME OF OUR NIGHTS WILL SELL OUT! 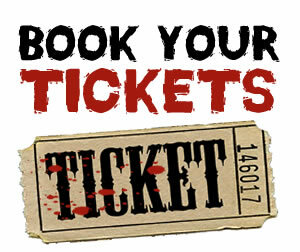 PUT YOUR MONEY WHERE YOUR MOUTH IS, AND PURCHASE A TICKET TO ONE OF THE UK’S HIGHEST RATED HALLOWEEN EVENTS! YOUR TICKET WILL INCLUDE ENTRY TO THE SITE, AS WELL AS UNLIMITED VISITS TO EACH ATTRACTION. WHY NOT SCREAM AS A TEAM? FOR EVERY 10 PEOPLE THE 11TH GOES FREE! + SECURE OUR ONLINE PRICES FOR YOUR GROUP! PRE-BOOKING WITH A MINIMUM 50% DEPOSIT AND A FINAL PAYMENT RECIEVED NO LESS THAN 14 DAYS BEFORE THE VISIT IS REQUIRED TO ENSURE THESE TERMS AND AVAILABILITY. 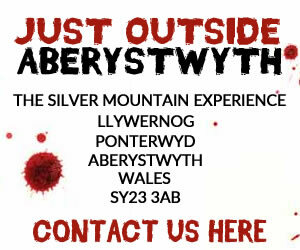 FOR FURTHER INFORMATION ABOUT HOW WE CAN HELP YOU ORGANISE ONE OF THE MOST TERRIFYING EXPERIENCES OF 2018, PLEASE EMAIL INFO@SILVERMOUNTAINEXPERIENCE.CO.UK OR CALL 01970 890620. TERROR MOUNTAIN IS NOT RECOMMENDED FOR CHILDREN UNDER THE AGE OF 12. UNDER 15’S WILL NOT BE ADMITTED WITHOUT A RESPONSIBLE ADULT OVER THE AGE OF 18. 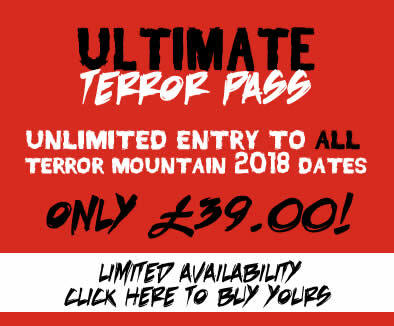 TERROR MOUNTAIN OPENS AT 7:30PM AND RUNS UNTIL 11PM, LAST ENTRY IS AT 9:30PM , WE RECOMMEND ARRIVING BY 9:00PM TO EXPERIENCE ALL OUR ATTRACTIONS! WE RECOMMEND AT LEAST 2.5 HOURS TO VISIT ALL OUR ATTRACTIONS AND EXPERIENCES.